False eyelashes have been recreated and transformed these past few years and every makeup brand is trying to come up with the next best trend in lashes. One of the newest set of falsies out there is the half lashes. Half lashes are exactly what you think of when you see the word half lashes. They are little lashes that are literally half of the standard falsies that is designed for only the outer corner of your eyes. 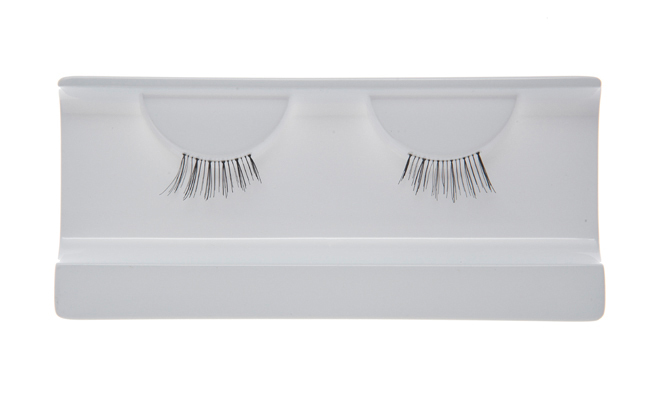 These are great for people who want thick lashes only on the outer corners of the lashes rather then the inner. It is also great to use on the outer corner of the bottom part of the eye to give that extra glam that every set of eyes deserve. There are two ways to get half lashes. You can buy them from various retailers or you can buy a set of falsies and cut them in half. It is super easy to do and you get an extra pair for future use. Have you tried half lashes? What do you think of them?